Facilitating Practitioner Research: Developing transformational partnerships addresses the complex dilemmas and issues that arise in practitioner inquiry. It recognises that facilitating practitioner research is far more than providing advice about method adoption, important as that contribution is; or even modelling research practices and drawing attention to appropriate resources and theories. It also requires the evolution of strong reciprocal partnerships that will contribute to professional knowledge formation in both the academy and the field. how praxis, as practice that can always be judged in terms of Ã¢ÂÂwhat isÃ¢ÂÂ and Ã¢ÂÂwhat ought to beÃ¢ÂÂ, can be analysed in terms of functional and substantive rationality as well as life, world and system issues. the underlying potential of practitioner inquiry where agency is afforded as a democratic principle to all who participate, including the consequential stakeholders; the students in our schools and universities. It draws upon extensive case studies from The Netherlands, Sweden and Australia which not only illustrate and illuminate, but also highlight contradictions and tensions. The case studies exhibit issues related to the quality of the partnerships between the academy and the field and the ways in which quality impacts upon practice. Additionally, the varying social geographies allow a discussion of different intellectual traditions, belief systems, problem settings, questions, and discourses. 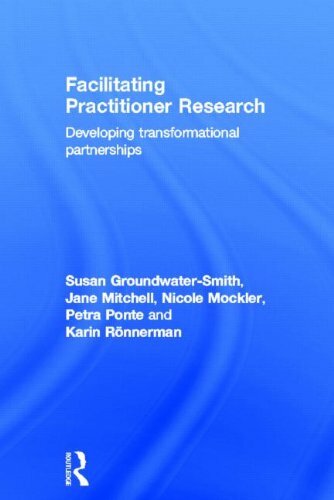 Facilitating Practitioner Research: Developing transformational partnerships will appeal internationally to academics involved with practitioner research. It will also prove useful to practitioners across the education sectors, including researchers, teachers and those involved in education policy.